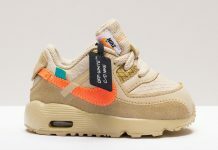 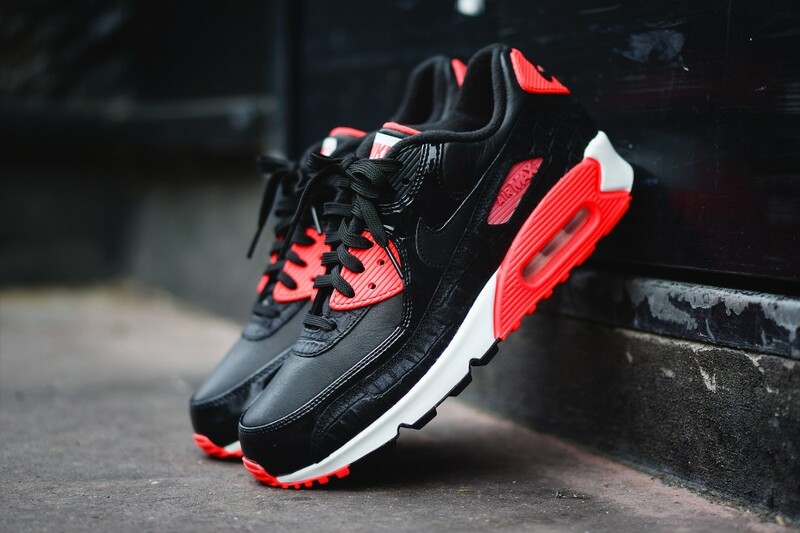 Nike Air Max 90 "Infrared Croc"
2015 is around the corner and alongside the new year, are several anniversaries for many silhouettes like the Nike Air Max 90. 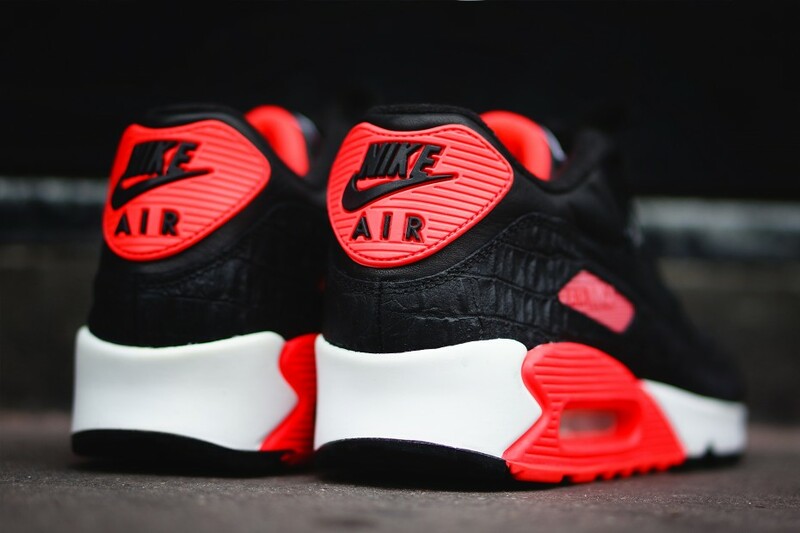 We’ve already confirmed the return of the “Infrared” Classic that debuted over almost 25 years ago and now, there’s going to be a croc iteration set to debut as well. 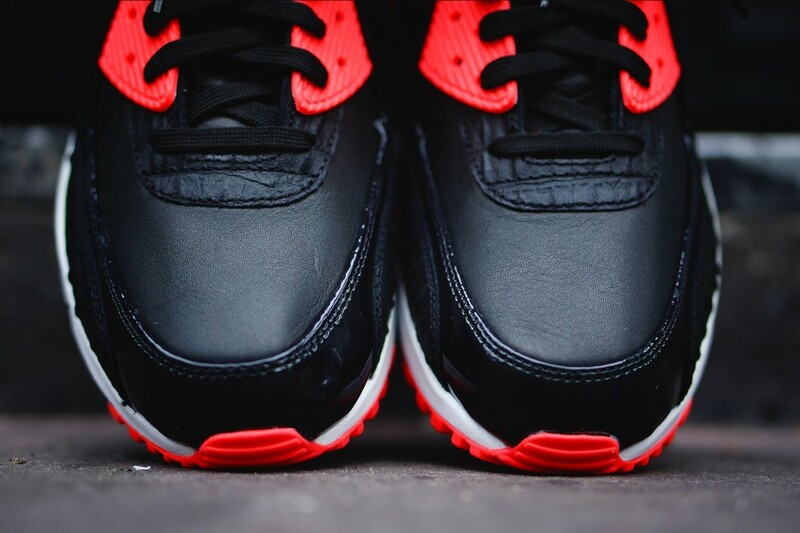 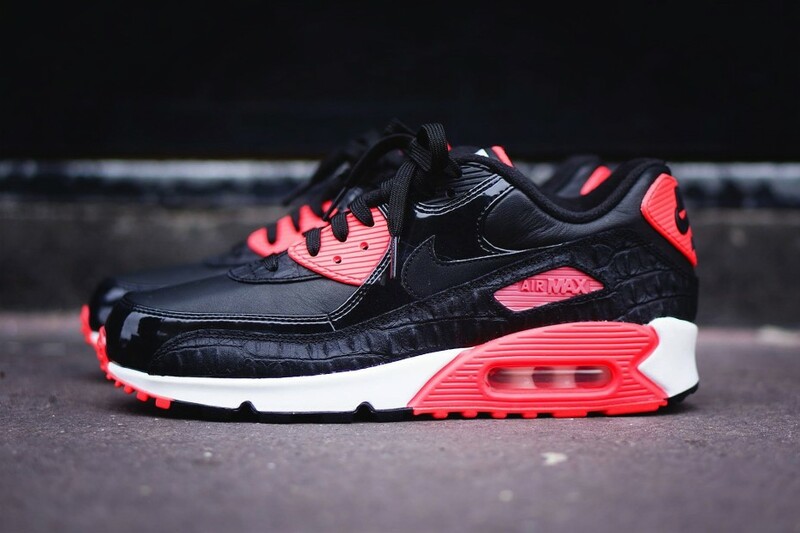 The All Black Croc 90 features Faux materials on the uppers, while hits of infrared complete the concept. 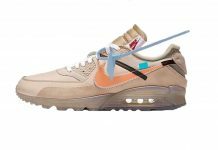 Look out for a release date on these here on MN.